The Esperanza Center will give clients the chance to draft Power of Attorney documents with volunteer attorneys, interpreters, and notaries public. 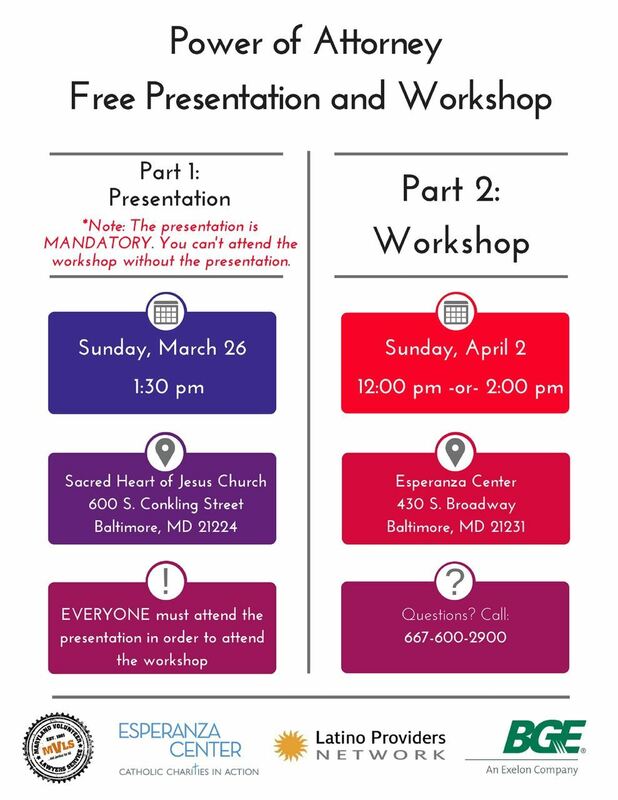 Please note, however, that in order to attend the workshop on April 2, clients must attend the pre-workshop charla on Sunday, March 26. 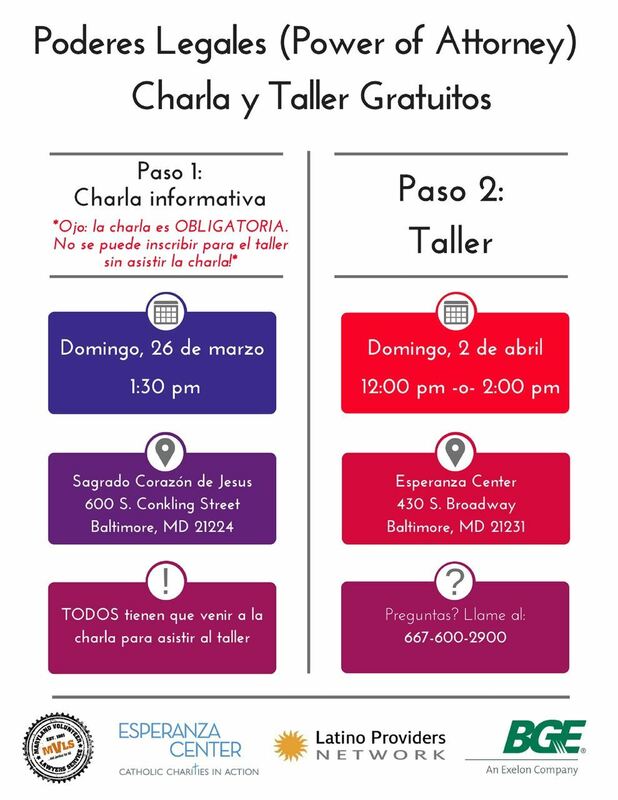 The information given at the charla will be extremely important, and clients will only be able to register for the workshop at the charla. Special thanks to BGE for their generous support of our educational workshops, including this Power of Attorney workshop.